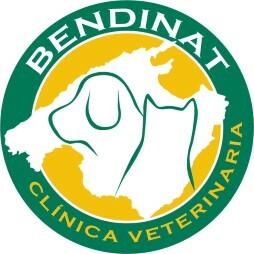 Clinica Veterinary Bendinat was set up over 10 years ago by British vet Nick Murgatroyd. A vet who qualified from Britol University in 1989, and had worked in a couple of the best and most upto date clinics in England for more than 15 years. Nick was attracted here by his relation with a beautiful Malloran lady, with whom he now has a lovely family of 2 boys and a little girl, and is fully integrated into Mallorcan life. Nick wanted to set up a clinic using the most up to date knowledge and techniques but in a friendly caring environment where pet and owner would feel relaxed and cared for. Not only this but the clinic and his expert staff provide excellent service and care, and emergency cover 24 hours per day and 365 days a year. They pride ourselves that their feline friends have the least stressful visit possible (and they are highly specialized in feline medicine and surgery) and that their canine companions even drag their owners in the clinic from the car park (free underground), even after major surgical procedures. 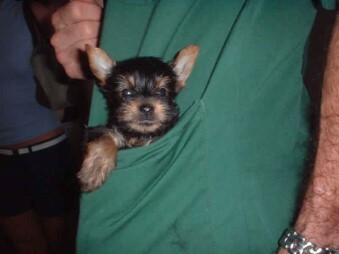 Mainly because they are given lots of care and fuss as well as the best surgical procedures and analgesics. Not to mention they can play with Julieta (Nick's dog) whilst they wait for their operation! Julieta also specialises in canine education and socialisation. 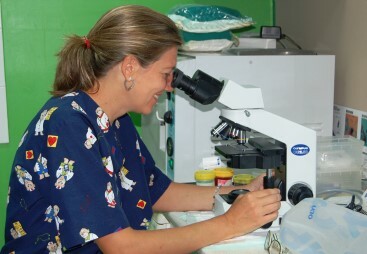 Nick and Cristina (the other veterinary surgeon) regularly attend conferences and lectures to keep themselves up to date with all the latest veterinary surgical and medicine advances. The clinic has all the equipment you would expect from a modern clinic, including inhalation anaesthetics, pulsoximeter (blood oxygen and body temperature whilst under GA), digital x-rays etc and performs all the usual routine operations (spays and castrations) to the highest standard (and your pet comes in for the procedure in the morning and goes home in the afternoon as if nothing has happened). 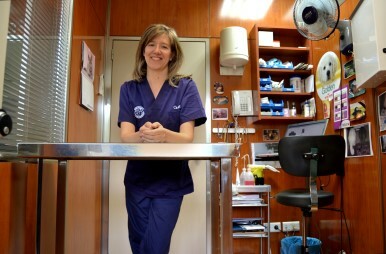 Finally they specialize in pet travel and probably have sent more pets to more places all over the world than any other clinic in Mallorca- "Bon Voyage"!